The number of times I’ve heard that inquiry is staggering, and despite us all wanting to find one, there’s no magic solution to one of the most frequently asked questions in training. That’s the bad news, but the good news is there is an equation that can help you achieve your goals in a timely manner. Rather than having a cookie-cutter training program, the way to getting a client to reach their potential is designing a plan and encouraging them to approach it with the utmost dedication and discipline. If you are serious about your health, fitness and well-being, you will attack this task the same way you would any other serious commitment. You wouldn’t skip out on work for no reason, you cannot tell your kids that you are tired and “don’t feel like it,” and you must not use these excuses when training. The first piece of the puzzle is your diet. Without a meal plan that focuses on lean proteins and vegetables while minimizing your carbohydrate intake, you will never see the kind of results you want. Diet is arguably the most important part of your plan. Also, we aren’t talking about your parents’ idea of dieting. Starving yourself will not allow for you to maintain and build the muscle mass necessary to create a system that works for your body and burns fat for you throughout the day. Next, you will need to further dispel any ideas you have about how to train. Plain and simple, most people do not understand how to effectively train and that is why they pay personal trainers to help them reach their goals. While you’ll watch people run for hours and hours on end each and every week, I can confidently tell you that with proper diet and a correct program, you will need to train at most five hours a week. The key to the training is efficiency. Training multiple muscle groups and targeting the larger ones at that will maximize your results in a minimal time. It is important to strike a balance between workout time and rest time. At no point should you be working for more than 40 seconds per set and you should limit your rest time to no more than 20 seconds between sets and two minutes between workouts. The reason for this, in conjunction with the reduced number of hours per week, is that you want to shock your muscles and make them extend themselves to their physical limit while allowing them sufficient time to recover when you are not training, leading me to the final piece of the equation. Recovery and sleep are the last component that you must use to reach your goal. Allowing yourself to get a minimum of seven hours of sleep per night will give you sufficient rest to allow your body to take stored fat to regenerate and repair your muscles. The recovery period is often neglected, but it is so vital to your regimen because, while you may see a pump initially, your muscles grow during rest following a workout, not the workout itself. Obviously it’s more complicated that just three simple things, which is why not everyone is in the profession that me and my colleagues are in, but this is the most basic way to approach any fitness program. Like I mentioned above, there is no quick pill, solution, remedy or plan, or else everyone would look the way they wanted to, but High Definition Training can work its magic on you. 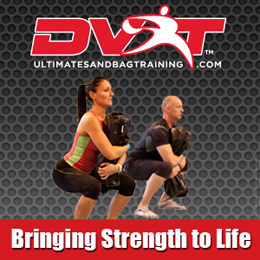 Call us to find out more information or to Reserve your spot for one of our group training session at 917-432-9418.